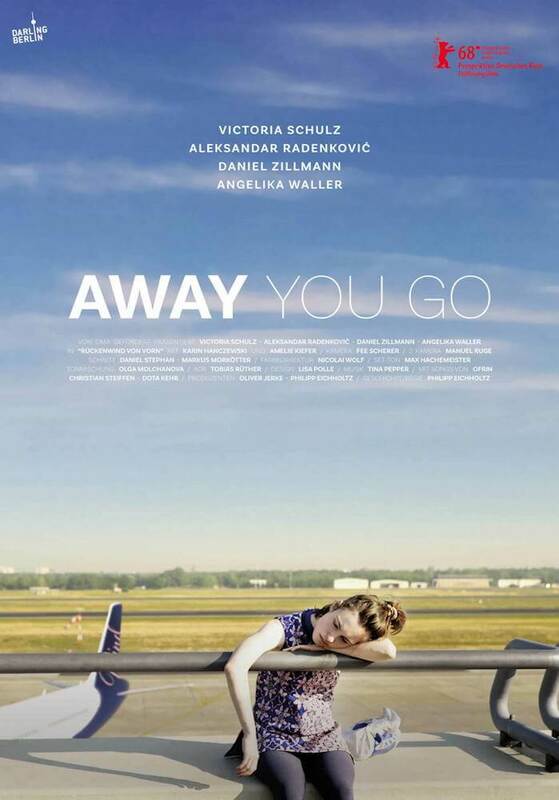 The Darling Berlin film “Away You Go” (German: “Rückenwind von vorn“) is now available as part of the “Film Festival Stars Program – Berlinale 2018” by Amazon exclusively* on Prime Video. The film deals with the question of whether adulthood is easy – and growing up is difficult? The Berlin girl Charlie finds it damn hard to keep the expectations of her environment and her own apart. Her boyfriend, Marco, wants a child, and her colleague, Gerry, surmises, unsolicited, “Five years together? Well, surely you’re three of you soon …? “But Charlie is not at all sure: Is it nice to have a child, or does she herself disappear with her needs? Charlie is challenged quite a bit in her job as a teacher, and things are not going well with Marco. Everything was so wonderfully easy and spontaneous in the beginning. “You try to put it into words and immediately it seems small, puny and trite, and yet it is there – this problem, that nagging feeling – then I often disagree with myself and my environment As good as it gets in my life, then I quickly get into a kind of paralysis of life .. Unable to make any decision, I just hold out situations .. I become a tourist, who observes my problems with great interest, but the Consequences of not connecting with itself. The only thing left at the end is a vague feeling that something does not fit. I often feel lost and lonely, afraid to make the wrong decision, I prefer not to meet any. My main character Charlie feels just as lost. A few years ago, world trips and long party nights seemed possible without any problems. If she is now suddenly at work, has to take care of her grandmother and is about to start a family with her longtime friend. But does she want all that? Or better asked, does she want it all now? * “exclusive” in this case means that the movie “Away You Go” is free to view for all Amazon Prime subscribers as part of their Prime Video Subscription (SVoD – subscription-video-on-demand) and the film is not available in another subscription-programs. However, anyone else can buy the DVD or buy/rent/stream (DTO – download-to-own, TVoD – transaction-video-on.demand) the movie on other VoD-portals, soon.